Now we support the new devices (iPhone XR, iPhone XS and iPhone XS Max). 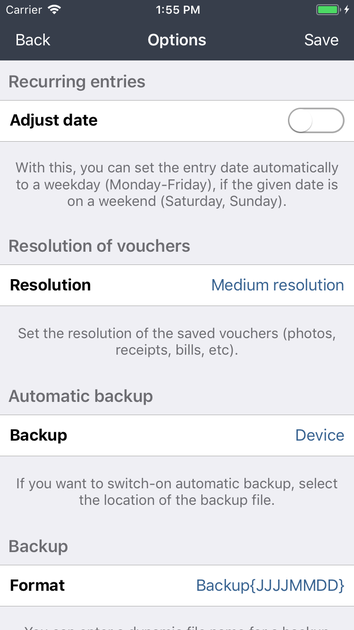 For recurring entries, now you can choose if the entry date will be set to a weekday automatically (Monday-Friday), if the given date is on a weekend (Saturday, Sunday) or on a holiday (New Year's Day, Good Friday, Easter Monday, Labour Day, Ascension Day, Whit Monday, German Unity Day, 1st Christmas Day, 2nd Christmas Day - at the moment only available for Germany). The incognito mode has been improved and it protects your data from curious eyes even better. 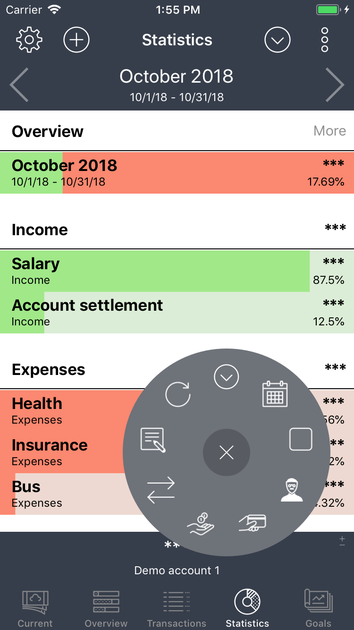 The bottom menu (plus symbol) was not really liked by some users. For this reason, we still have support for the old menu. 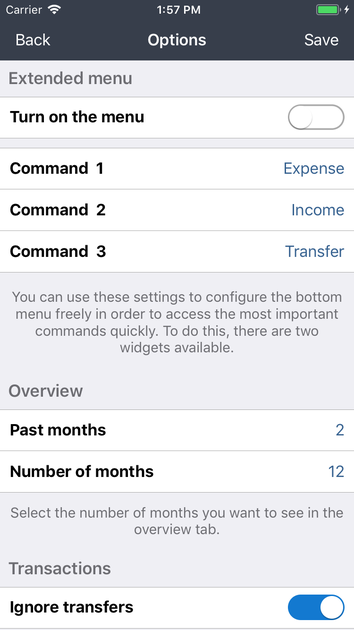 Now you can choose between the button bar or the plus symbol in the settings. You can set both widgets individually. 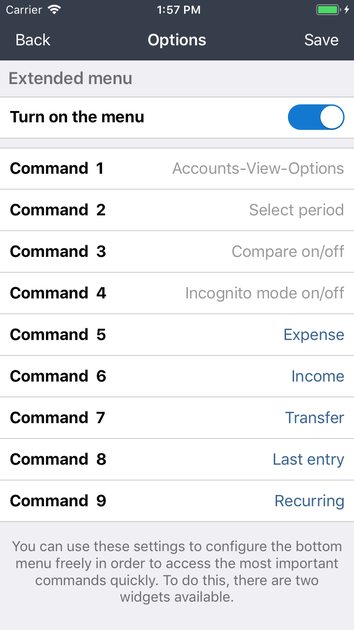 If you still use the free version of the app and would like to generate test data, only a few entries will be created to allow you to enter your own inputs and outputs. In-App dialog has been revised again in order to provide the user with better information in case of problems. Some users made negative ratings because they did not know the Recover In-App feature. 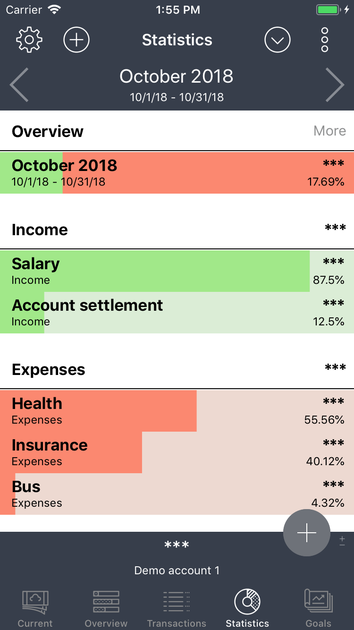 The CSV import is updated or adjusted with every update. When we receive a sample CSV file from you, we will implement this structure. A new rating dialog has been implemented. If you like this app, a 5-star rating would help us a lot. We have been working on this app for a very long time and all updates have always been free. 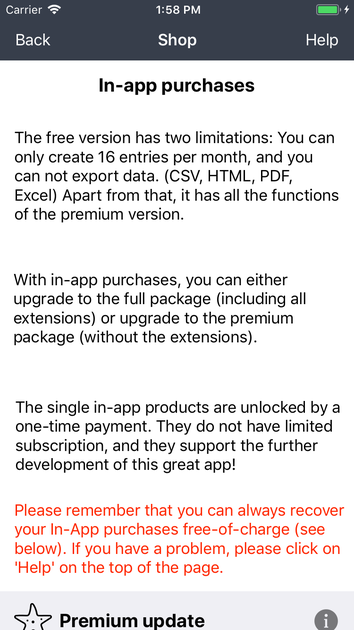 However, this will only work if the app is rated well in the store. The more positive ratings we get, the higher the rank will be. These ratings only count for the latest version. So it is really important that all versions are rated individually. A lot of users use these stars to show their dissatisfaction or to pressure us when a feature is missing. But this hurts us and this wonderful app. Even minor bugs are rated with deductions. You may want to reconsider the rating and compare it with your daily work. Is your work performance worth 2, 3 or 4 stars? Hence the request again: Only 5-star ratings are seen as recommendations by other users. 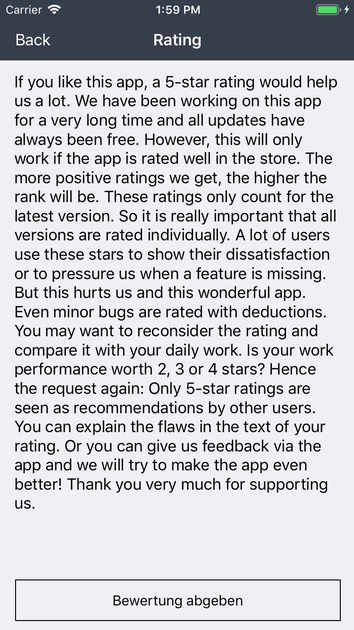 You can explain the flaws in the text of your rating. Or you can give us feedback via the app and we will try to make the app even better! Thank you very much for supporting us.